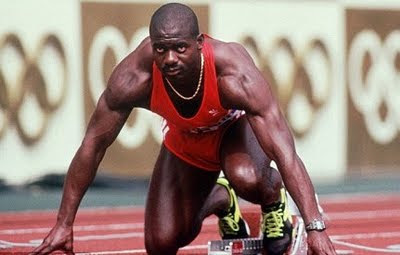 We all agreed that Carl Lewis was superb in 4 Olympics and World championships. But Ben Johnson (b. 1961) was the greatest back in 1985 to 1988!. People remember Ben for his great physique perhaps, apart from 'Seoul 88'. He has some similarities with the current top sprinter Usain Bolt. Both sprinters were born in the same resident (Trelawny, Jamaica), but Ben emigrated to Canada when he was a teen (1976). Ben Johnson became the World champion in 1987 and Olympic champion in 1988. Here is a lists of the facts about Ben Johnson during his track career. You can also read interesting facts about Usain Bolt. He has been a World champion, Olympic champion, Commonwealth champion, World cup champion, World Indoor champion, Goodwill Games champion. # All the facts mentioned are sort of straight facts, which is generally means 'all conditions' is applicable.